Blackberry Kush is an indica dominant hybrid strain produced by crossbreeding a mix of Afghani and Blackberry strains. With its hashy taste, and smooth burn – Blackberry Kush is often best used for treatment of pain and insomnia as it is often very giving in pain relief. 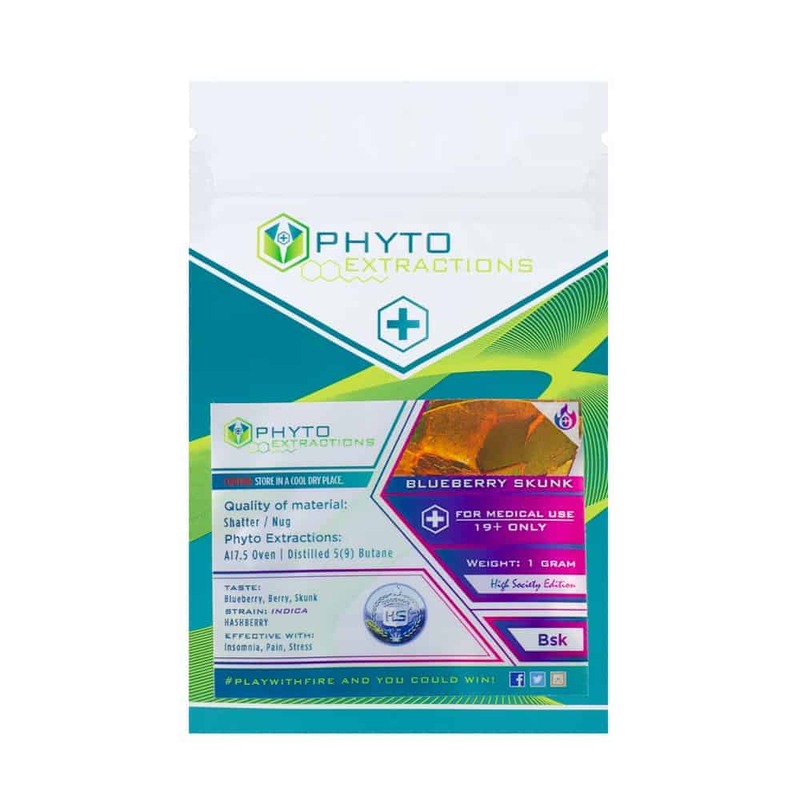 10 reviews for "Phyto – Blackberry Kush – Indica Shatter"
Just dabbed this one this morning and so far really nice! Flavor is kinda like blackberry too! Great taste. I dab before bed for a nice sleep. My favorite indicated strain to date. This one might just be my new favorite. Amazing taste and good high, I use this one when I want to relax or get to bed. Hands down the best phyto flavor! I’m so in love with it! This is hand down my favorite flavor from Phyto. So yummy with an amazing relaxing high. I recommend this one to everyone.